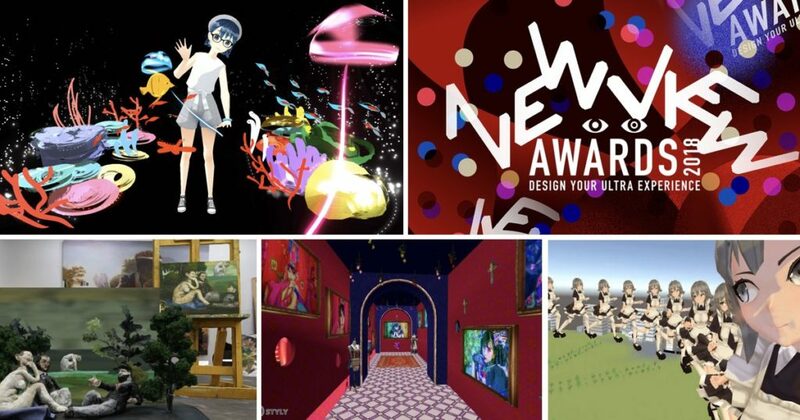 A joint project by Psychic VR Lab (Head office: Shinjuku Ward, Tokyo / CEO: Hiroyuki Yamaguchi) that provides VR artistic platform “STYLY”, PARCO Co., Ltd. (Toshima Ward, Tokyo) and Loftwork Co., Ltd. (Shibuya Ward, Tokyo) has announced the winning works of the VR content award “NEWVIEW AWARDS 2018”. 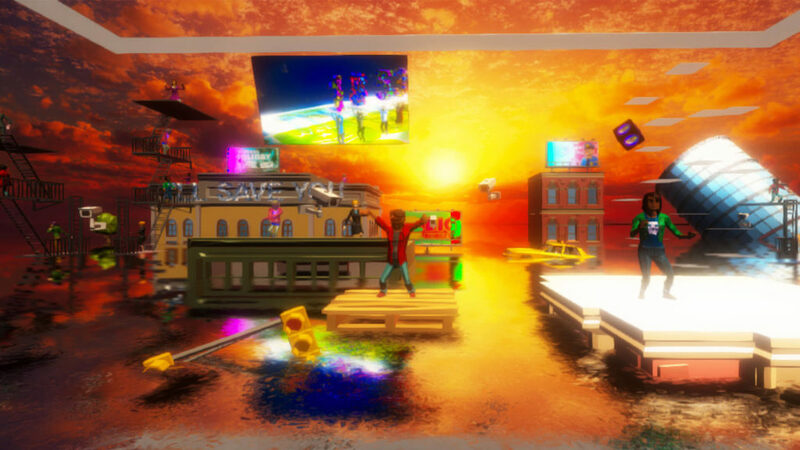 Looking at the near future when everyone equips the ability of expression in 3-dimensional space, this award is to find next-generation creators who can lead new expression, culture and lifestyle in VR, and motivate them to progress to the next step. Based on the theme of “Design Super Experience”, VR content in fashion / culture / art was invited from all over the world from 01 June 2018 to 31 July 2018. We received 219 entries across seven countries. The wining works of the Grand Prix and other eight award-winning works have been decided after the final meeting by nine judges including David O’Reilly, M-flo, Ito Gabin and other judges. 1 “EMOCO’S FIRST PRIVATE EXHIBITION” won Grand Prix with prize of 20,000USD! “EMOCO’S FIRST PRIVATE EXHIBITION” won Grand Prix with prize of 20,000USD! 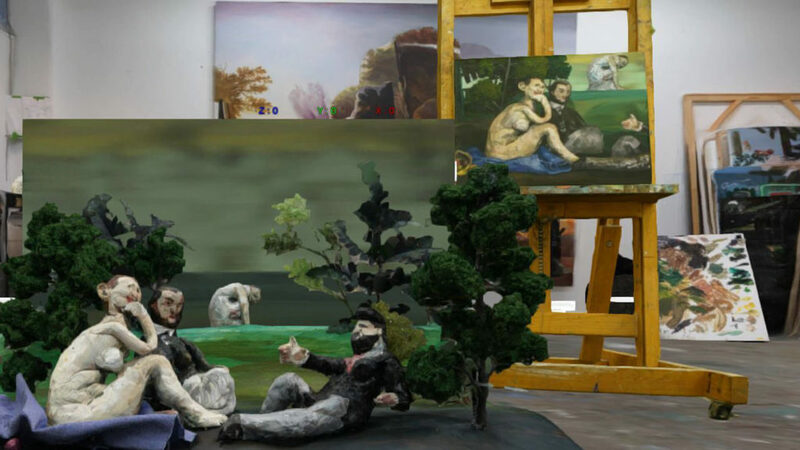 Virtual artist Emoco has won GOLD, equivalent to Grand Prix, for “EMOCO’S FIRST PRIVATE EXHIBITION” where visitors enjoy VR artistic contents alongside the video clips of their drawing process. SILVER, equivalent to semi-Grand Prix, has been awarded to “EMMA VR: PAINTING LIFE” and “IMMERSIVE PHOTO EXHIBITION: Pretty girl kills by eyes” as new experience of art and fashion.“MAILLOTS DE BAIN’ has also won SILVER for its bold use of three-dimensional space. 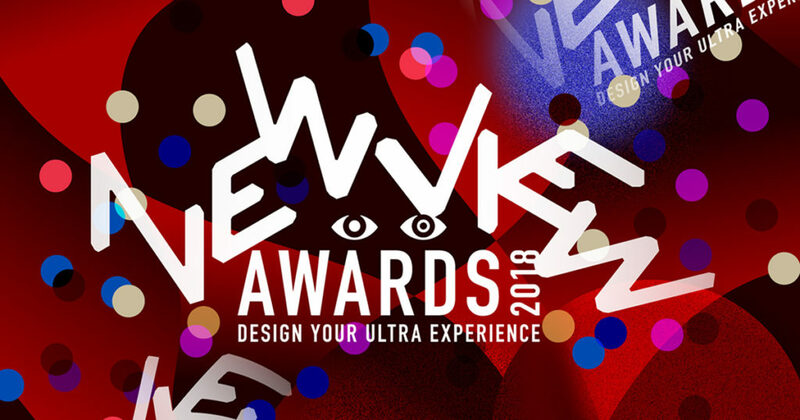 NEWVIEW highly appreciates all award-won works for opening up new possibility of expression in VR contents across fashion/culture/art fields at this path-finding stage, and continues to find and inspire next-generation VR creators as well as new creative expression and experience in three-dimensional space. Please stay tuned for our future challenges. 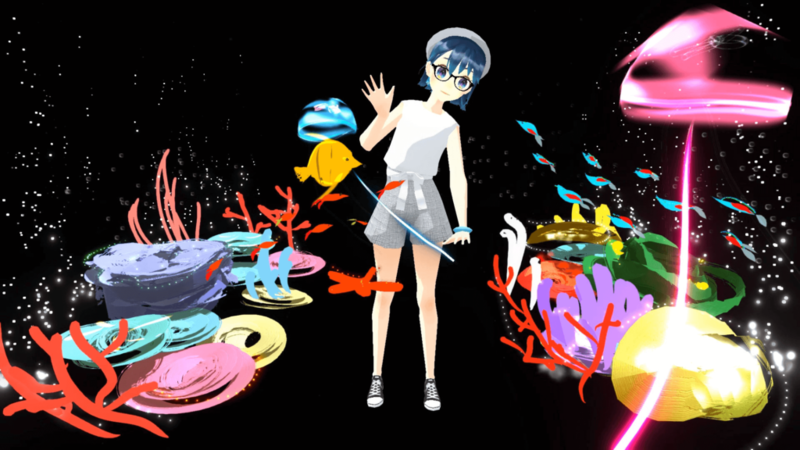 “EMOCO’S FIRST PRIVATE EXHIBITION” where visitors can enjoy VR art and its drawing process by Virtual YouTuber Emoco. “Thank you for such a wonderful award. I think it’s truly brilliant for everyone to open their own private exhibition freely so that people from all over the world enjoy it. Even if you have no experience about VR, you can easily make it, so please try to make your own VR space by STYLY. Virtual technology (xR) will make our world more convenient and enjoyable, I think. I am looking forward to NEWVIEW, which makes it possible. 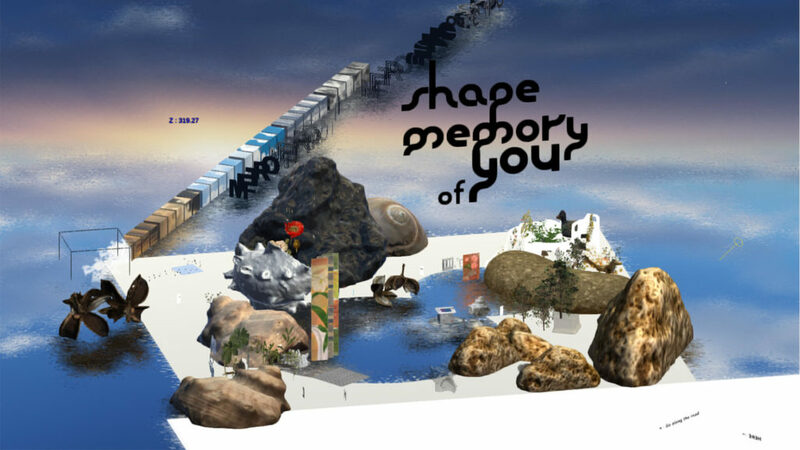 “First of all, it is something unique that a virtual artist enters a competition under the name of VR, which sounds complicated nesting like Hakone wooden mosaic work or Russian Matryoshka doll. “Reality” in VR may be more realistic for virtual character, Emoco, than one recognized by people with physical instance like us. Emoco’s “works” are ordinary in a sense but total ability seems outstanding as seen in her approach how to express elevation in her space design. A work makes people realize the artist behind and provides an opportunity to touch the background story of the work. 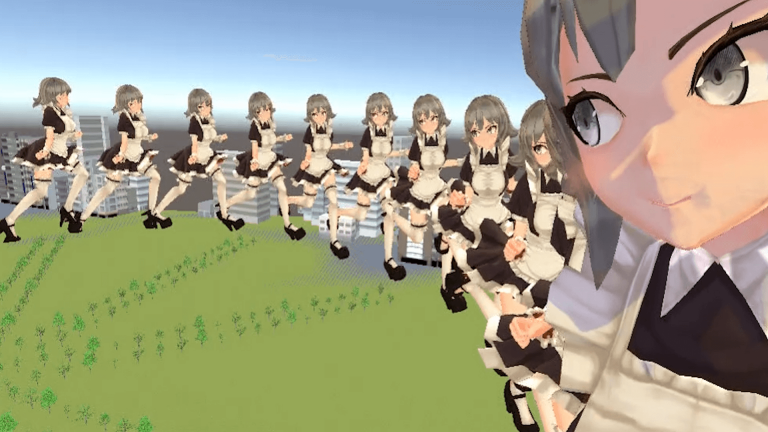 It is a work to show the story of girls in a small world by Prop using Photogrammetry and 180-degree stereoscopic photograph using Mirage camera. Taking Zoetrope as motif, this work to express how “Frontend” and “Backend” are linked each other to form one world like our reality. 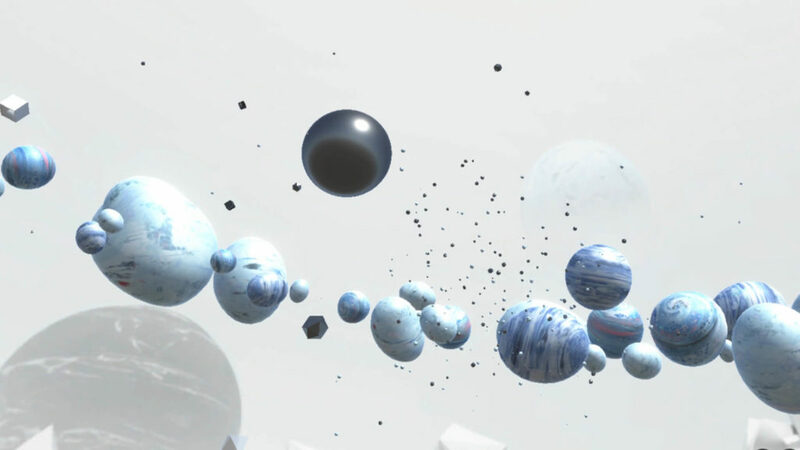 The work is an experiment to restore body and sensation that was lost in VR space. 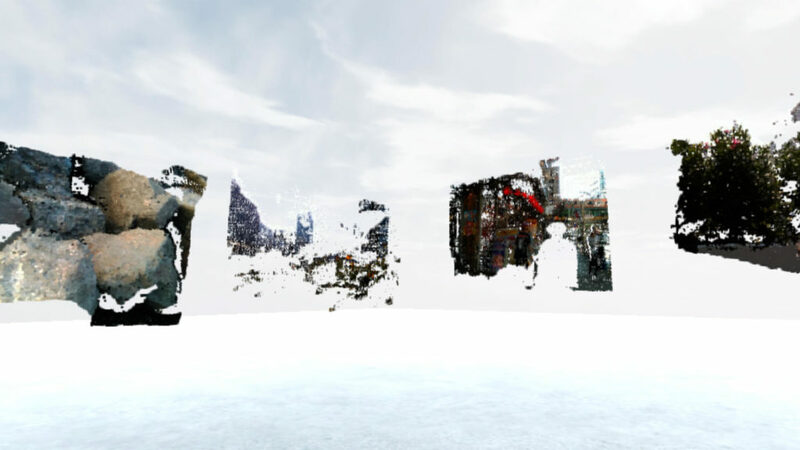 The image taken with depth camera, developed into a negative, has been described in VR space. Whilst photogrammetry and 3D scan reproduce the real world, PRINTS suggest a way to fix image in VR space. 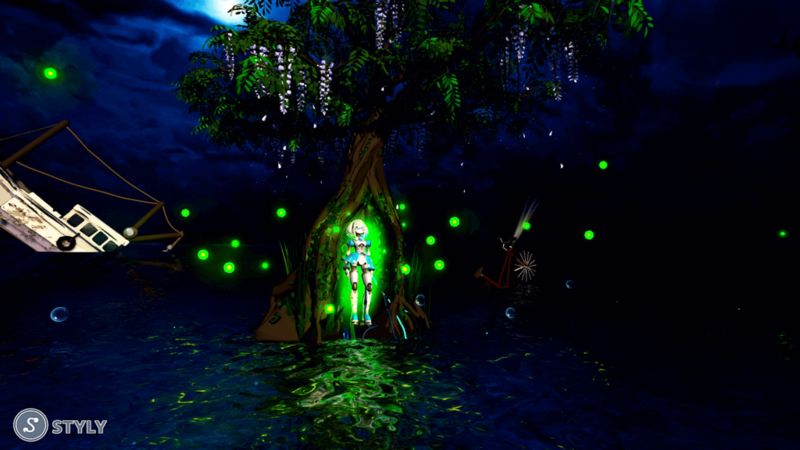 It’s an installation work with a concept, “the space of sound”. Reproducing the space inspired by a sound, it aims at sending viewer’s audio-visual sensation to the space via HMD. Defining culture made in an imaginary as “Dystopia Culture”, the player experiences “Enthusiasm” generated by “Dystopia Culture”. 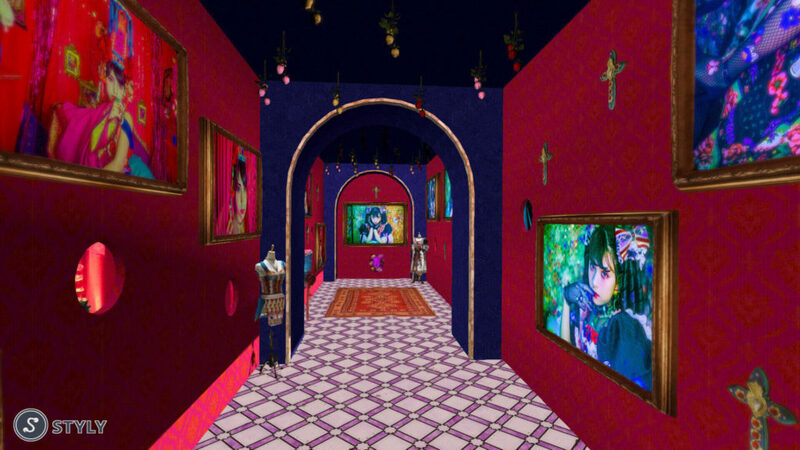 I aimed at making player feel uncertain boundary between virtual world and real world. A mysterious virtual caster suddenly was born in a ruined world. The work expresses the world that leads people to new horizon even under water by following the “cord” grown from her body. Follow the links below to see all award-winning works and judges’ comments.